Example of Sikaflex Boat Building. Submitted. Held each year during Maritime Week in Sturgeon Bay, the Door County Classic & Wooden Boat Festival, Aug. 11-12, is an event not to miss. In addition to viewing beautiful and fascinating classic and wooden boats, there are nautical displays, a Boathouse Sale, and the concessions tent. There are kids’ activities and the Door County Maritime Museum is open for visitors to view their displays. 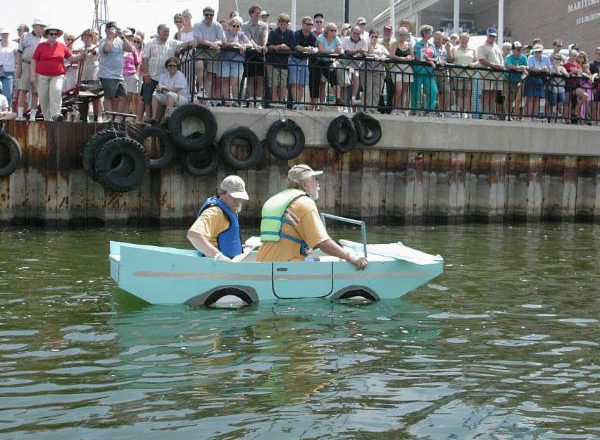 During the two-day festival cheer on the two-person teams competing in the Sikaflex Boat Building Challenge and race. They build on Saturday and race on Sunday. Pick up a ballot on Saturday and vote for your favorite boat in the People’s Choice Selection. Stroll through Maritime on Madison on Saturday, and enjoy great food, entertainment and shopping. For more information visit dcmm.org.